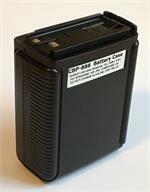 CBP-888 : 8 x AA battery case for radios such as Standard C558, C158, C528, C228; ADI HT-600, AT201, AT401; JRC JHP-500, JHP-520. 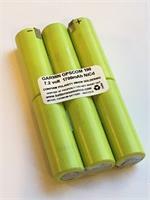 Use 8xAA Alkalines for instant power; or use 8xNiMH or NiCd AA cells (case has charging jack on side). Replaces NBB-488. 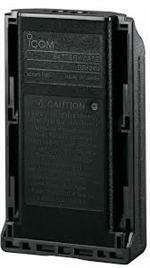 CM-167: Alkaline battery case for ICOM IC-A22 & IC-A3 aircraft radios. 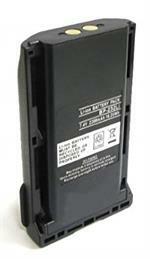 Batteries America brand exclusive product - replaces original CM-167. Load with 10 x AA batteries. Provides instant high-watt power for operation. Batteries sold separately. 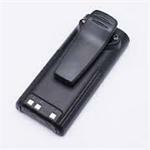 CNB-152: 12 volt 800mAh rechargeable high-Watt NiCd battery for STANDARD, ADI, JRC, Heath, & RELM radios. Replaces original #s CNB-152, RBP-120, CNB-242, NBB487 etc. Re-charges via plug-in wall charger, or via Desktop drop-in quick charger. 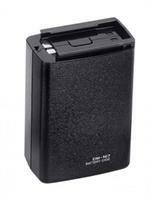 BP-195: 9.6 volt 1100mAh rechargeable Ni-Cd battery pack for ICOM radios. Fits IC-T2A, IC-T2H, IC-T2E, IC-A4, IC-F3, IC-F4, IC-F3S, IC-F4S, etc. Includes belt clip. Charges up through the radio, or with Drop-in Desktop Charger.